We offer our clients a colorful range of yarn dyed fabrics, which includes multi dyed fabrics, cotton yarn dyed fabrics and polyester yarn dyed fabrics. These are available in bright assortment of colors. We manufacture these yarns dyed fabrics with cotton yarn and polyester yarn. We customize cotton yarn dyed fabrics, polyester yarn dyed fabrics as per the requirement of our clients. Leveraging on our vast industrial experience in this domain, we are committed towards offering wide gamut of Yarn Fabric that is well-known for its following specifications and features. Being one of the renowned organizations in the industry, we are highly engaged in trading a premium quality range of Dyed Textile Fabric. Dyeing is the process of adding color to textile products like fibers, yarns, and fabrics.We also dyeing the Fabric according to Clients Requirements. Customers are welcome to discuss the prefer specifications and quality. Features: Soft hand-feel, breathable, nice outlook, eco-friendly. End Use: T-Shirt, night wear, fashion, etc. 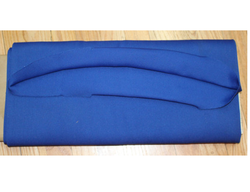 The variety of fabrics provided by our firm also comprises Yarn Dyed Fabric. These fabrics are prepared by our professionals using high quality raw materials and modern technology at our production unit. These yarn dyed velour fabrics are widely appreciated among customers for their colorfastness and tear resistance. 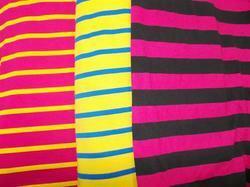 We can supply Yarn Dyed Fabric with finest printing quality with best stitching standard. Yarn Dyed Fabrics available in various standard depending up on client specification. - This type of fabric is made keeping in mind the atmosphere of summer. - Made with synthetic yarn, with spandex, lycra in different guages according to fabric weight & thickness. - Use the yarns like bright yarn, Dull yarn, catonic yarn, lurax yarn & many other Indian & imported yarns. Our colorful range of Yarn Dyed Auto Striper Fabrics, which are available in bright assortment of colors. These yarn dyed fabric are made of wool yarn, cotton yarn and polyester yarn. These cotton yarn dyed fabrics, polyester yarn dyed garment are customized as per the requirement of our clients.